New Zealand mosque attacks: Who is Brenton Tarrant? Home Uncategorized New Zealand mosque attacks: Who is Brenton Tarrant? Melbourne, Australia – The Australian man allegedly responsible for live streaming a massacre of Muslims as they prayed in New Zealand mosques was not previously known to security agencies in Australia or New Zealand, authorities said. 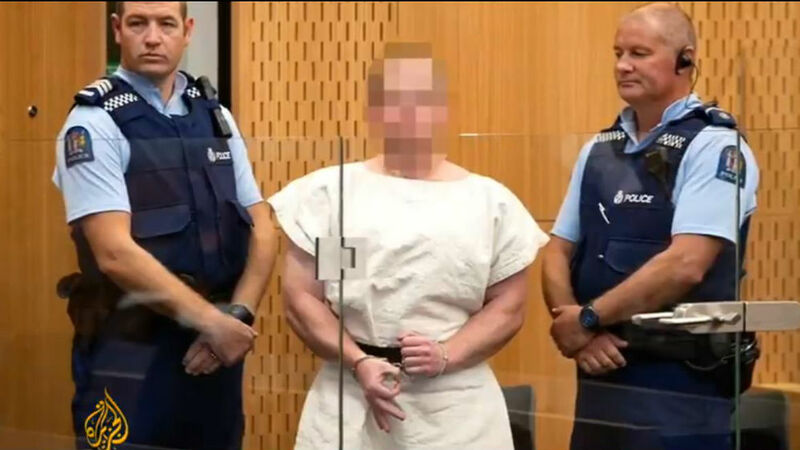 Brenton Tarrant, 28, accused of carrying out attacks on two mosques in Christchurch on Friday that resulted in the deaths of at least 50 people, including children, appeared in court on Saturday charged with murder. Tarrant, described by Australia’s Prime Minister Scott Morrison as an “extremist, right-wing, violent terrorist”, expressed admiration for other violent white nationalists and his intention to “create an atmosphere of fear” and to “incite violence” against Muslims. Bob Parker, a former Christchurch mayor, said it was unclear why security agencies weren’t aware of the threat Tarrant posed. “I think there are questions to be asked about why this wasn’t picked up by authorities. There does seem to be a significant amount of information that was put online sometime before this attack took place, and it does not seem to have rung alarm bells in the right places,” Parker told Al Jazeera. New Zealand Prime Minister Jacinda Ardern said at a media conference that Tarrant was not on a “terrorist” watch list. An Australian Federal Police (AFP) spokesperson confirmed to Al Jazeera “the man was not known to police in Australia for violent extremism or serious criminal behaviour”. Three other suspects were arrested along with Tarrant on Friday, but police now say he acted alone. Tarrant has spent little time in Australia in the past four years and only had minor traffic infractions on his record, authorities said. He had worked as a personal trainer at the Big River Gym in Grafton, a small city 500km northwest of Sydney. After his father died in 2011, Tarrant used his inheritance to travel internationally, including to France where he claimed to have seen an “invasion” of immigrants. “The origins of my language is European, my culture is European, my political beliefs are European, my philosophical beliefs are European, my identity is European and, most importantly, my blood is European,” wrote Tarrant in a 74-page so-called manifesto posted online prior to the attacks. It detailed an anti-immigration, neo-fascist ideology lamenting the supposed decline of European civilisation. While describing himself as a “regular white man”, Tarrant speculated he might get 27 years in prison just like Nelson Mandela and be awarded a Nobel Peace Prize. Professor Greg Barton, chair of global Islamic politics at the Alfred Deakin Institute for Globalisation & Citizenship, characterised Tarrant as having an “unhealthy narcissism” common among “terrorists”. “I think he was drawn by this dark fantasy of going zero to hero, like an Anders Behring Breivik, like the Quebec City mosque shooting of January 2017,” said Barton. “It had to be imported from Australia,” he added, referring to the Islamophobic ideology that motivated the attack, “coinciding with that access to assault weapons”. While known for having more moderate politics, New Zealand has relatively lax gun laws in comparison with its larger neighbour. Asked why the perpetrator would not have been on a terrorism watch list, Barton said, “there are so many people posting the sort of thing that Brenton Tarrant was posting, that they just don’t raise any alarms. There is a large cloud of right-wing extremism online”. Anti-racism campaigners in Australia have raised concern in recent years about far-right figures such as Tommy Robinson or Milo Yiannopoulosseeking to tour the country, where they attract significant followings online. Australia’s Immigration Minister David Coleman said Saturday Yiannopoulos’ visa had been revoked because of comments he made in the wake of the Christchurch attacks, which referred to Islam as “barbaric”. According to a recent report from the Anti-Defamation League (ADL), domestic extremists killed 50 people in the United States last year – an overwhelming majority of which were perpetrated by right-wing extremists. “White supremacists were responsible for the great majority of the killings,” it said.